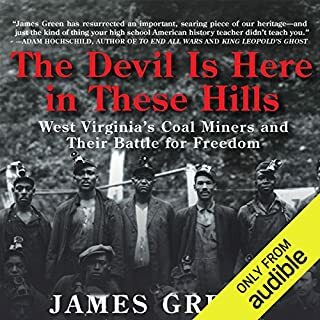 Laskas spent weeks in an Ohio coal mine and on an Alaskan oil rig; in a Maine migrant labor camp, a Texas beef ranch, the air traffic control tower at New York’s LaGuardia Airport,a California landfill, an Arizona gun shop, the cab of a long-haul truck in Iowa, and the stadium of the Cincinnati Ben-Gals cheerleaders. Cheerleaders? Yes. 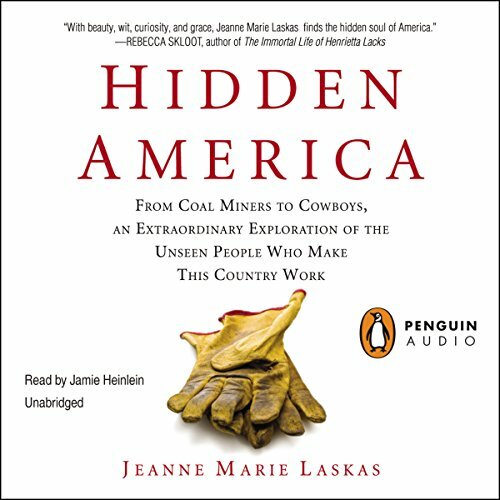 They, too, are part of hidden America, and you will be amazed by what Laskas tells you about them: hidden no longer. Love it... Love her... Check out everything!!! Would you listen to Hidden America again? Why? Yes, already have listened to it twice now. What other book might you compare Hidden America to and why? 50 acres and a poodle. What does Jamie Heinlein bring to the story that you wouldn’t experience if you just read the book? I loved when she worked at the gun store, and in seeing how her view points changed. I loved how she described it so much that I actually stopped and wrote it down... Shooting a gun is like one big gorgeous sneeze. I love it. So true. I want to see more by this author. I read 50 acres and a poodle in college and have been looking for it on audio ever since. JML is a great and fantastic author who puts heart and mind and soul (and a healthy, healthy dose of humor) into her stories and writings. You simply cannot have too many of her books to offer. What was one of the most memorable moments of Hidden America? This book starts out by saying that it is not going to be political and then dives head first into a political rant. Could have been a great book without the leftist nonsense. An important read for those of us living in a major city, completely dependent on these people, yet having limited to no exposure in our day to day lives. 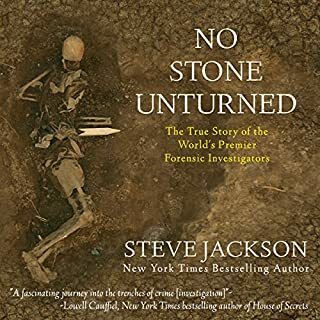 Great narration of an excellent book! This book is a really interesting set of essays/stories about people you probably never think about. 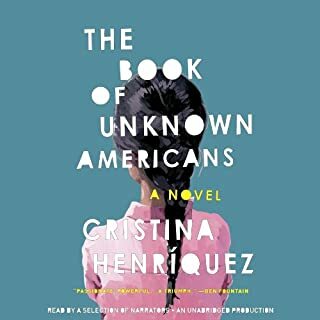 The narrator, Jamie Heinlein, does an excellent job of sounding as though you are listening to the author herself tell you about her journey--it sounds very warm and personal, yet authoritative, knowledgeable. 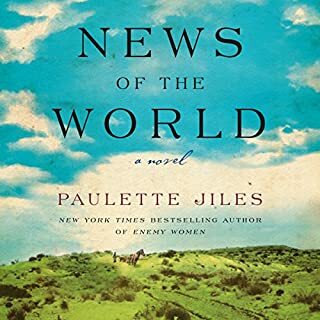 And she also manages to convey the multitude of different voices and characters in each story, to the point where you can really imagine yourself being Jean Marie Laskas (the author), sitting with coal miners underground as they talk casually about the dangers and joys of their jobs. Some of the jobs held my attention longer than others--the air traffic controllers was one I struggled to care about as much--because I just couldn't identify as personally with their situation. Yet Laskas skillfully humanizes the crazy vocations in each story, using dialogue to keep a nice pace and paint a relatable picture. 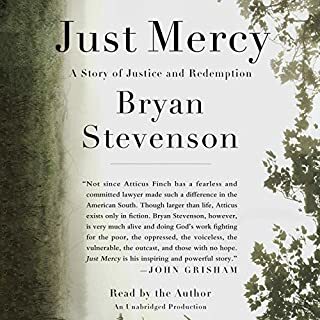 It's not just a book about the work that people do in America that so many of us take for granted, it's a book about the PEOPLE that do the work that we don't even know needs doing. And Laskas humorously and poignantly portrays all of them with dignity and humanity. 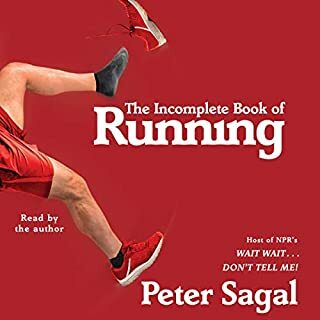 I love learning new things, and especially learning more about how people "work" (operate, think, behave, etc), and this book provides all of that with a good dose of humor too. fascinating glympse into what seems like a underground world of what makes America survive, love it! I learned so much from the book. So many things I did not know. The narrator was great!! I would listen to it again!